Your waist measurement is larger than your bust. Your waist measurement is larger than your hips. 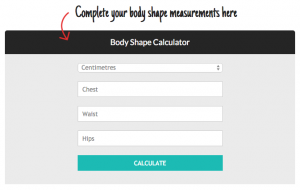 You weight classifies in the obese or very overweight category. The style recommendations below will give you a great insight into what styles look great on your Apple body shape. 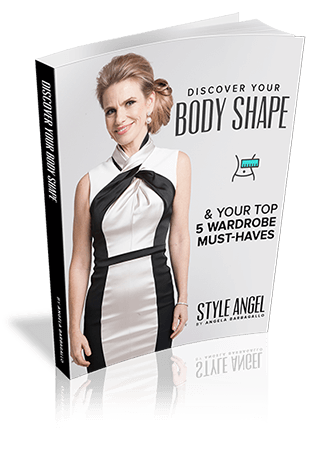 The line and design of your top will make or break how much slimmer you look. – Avoid square finish lines, instead opt for angled or rounded edges. Deep necklines such as round and v-neck will look great. 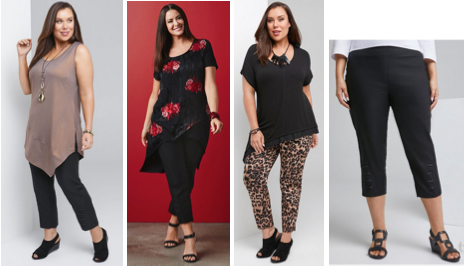 – A longer tunic style is a great way to create length in your upper body. The right style tunic should finish at the bottom of your finger tips when you have your hands by your side. – Multiple layers of fabric with different finish points with enough room around the stomach will look smart. – Use jackets, cardigans and long vests to create a vertical colour block. 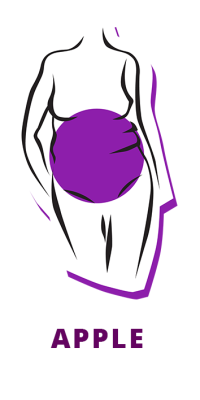 As the stomach area is the part of your body shape that needs to be evened out by what you wear. Skirts need to be worn with a longer top and will only look great if you are quite tall. Dresses are an easier solution for you and with a focus on lengthening line and design and some nice dark tights this will look great. Pants finishing 3/4 or 7/8 on the lower legs will make you look slimmer. Pull up elasticized is the best option for you to make the area around the stomach look the slimmest. Pants with stretch in the fabric will give you room to breathe. Layering pieces will serve you the best to elongate lines. The size of the jackets or cardigans needs to be determined by the size of your shoulders and upper arms and not the stomach area. This will give you more options across all brands. You will need to watch for the right length and some shaping at the back to give you definition and create the waist. 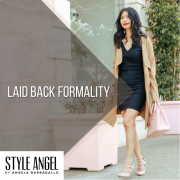 In my styling career I have seen many ladies go down 1 to 2 sizes in out wear as they would not wear the jacket or cardigan done up. The right bra and underwear will be so important in how great you look. Lift the bust and slim line the stomach with high rise support underwear. Shape wear will make a dress look good and the straps over the shoulder will give comfort that your shape wear does not move. 1. A great coat to break up the body in 3 slim lines. 2. Patterned tops in great colours with a focus on vertical designs. 3. A well fitting bra and underwear. 4. Cropped 3/4 pants and a soft pair of pants. 5. Great longer pendants to break up the outfit. 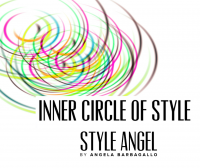 Download the free Style Angel book “Discover Your Body Shape & your Top 5 Wardrobe Must-haves”, by Angela Barbagallo.